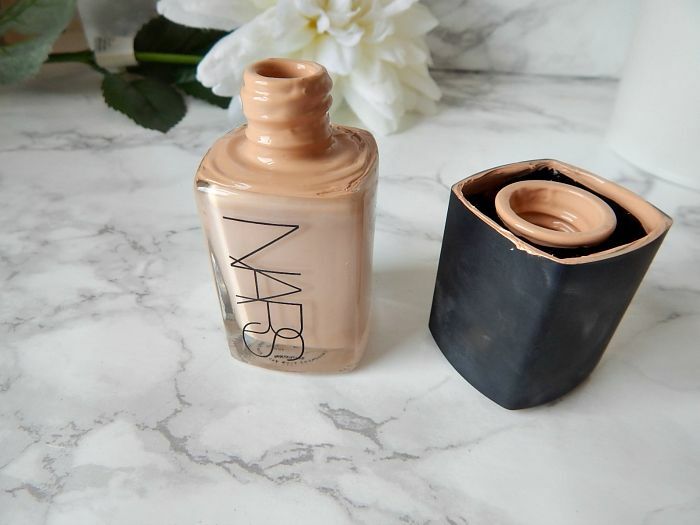 NARS Sheer Glow: The Holy FAIL Foundation? 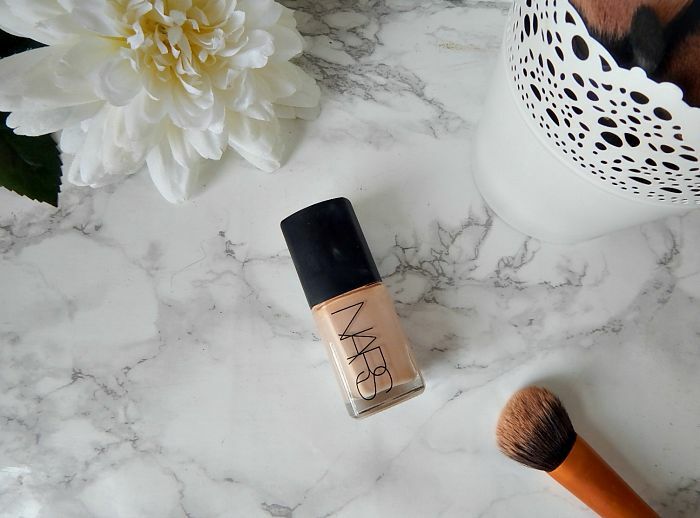 NARS Sheer Glow is one of those products that it’s hard to find a bad word said about. Cue the thunder clap, please – until now. Yes, this is not going to be a review praising NARS Sheer Glow and it’s buildable, even coverage – NARS Sheer Glow has pissed me off. So that’s what this review will be about. To begin though, I will explain how I came to own Sheer Glow. It had, of course, been on my wishlist for approximately forever. How could it not, with so many positive reviews in the blogosphere that frequently cite it as a ‘holy grail’ foundation? 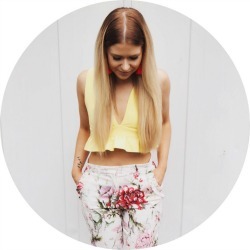 The only thing that had stopped me buying it long before was the lack of NARS counter in Coventry, meaning that I stuck to brands I could find in my local Boots and Debenhams. However, a recent trip to Leamington found me in Space NK, and here I jumped on the chance to finally buy it. I had of course heard of some foundation bottles not coming with the pump, and I’d actually purposely avoided such brands for that exact reason. 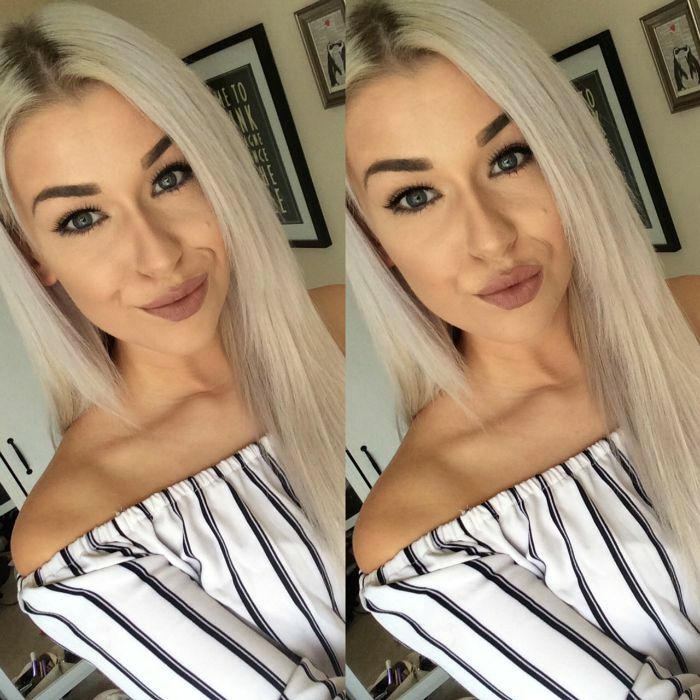 I just think it’s so cheeky – yes I’ve turned into a mum for the day, CHEEKY – to expect customers to pay extra for a pump when they’re already spending upwards of £30 on foundation. So Rimmel can put a pump on their £5 foundation, but premium brands can’t be bothered? Reaaaally guys? To use NARS Sheer Glow, I now have to pour some of it out onto my hand like some sort of milkmaid. Trying to get the right amount is impossible, and the bottle has become a total mess. I went into work that day ranting about it (95% of people were not bothered, shockingly), and one of my friends said that she too had experienced this, and had bought the pump. She then told me that once you have the pump, the lid then doesn’t fit on and so you have to store it without the lid and risk even more mess and general life-ruining. Oh the outrage! Oh the inhumanity! And do you know what the worst part about all of this is, and why I really HATE NARS Sheer Glow? Because I can’t hate it at all. In the style of Julia Stiles’ speech in 10 Things I Hate About You, which concludes with her saying that mostly she hates the way she doesn’t hate Heath Ledger (not even close, not even a little bit, not even at all… sob), I really despise how brilliant this foundation is despite the annoyance of the bottle. 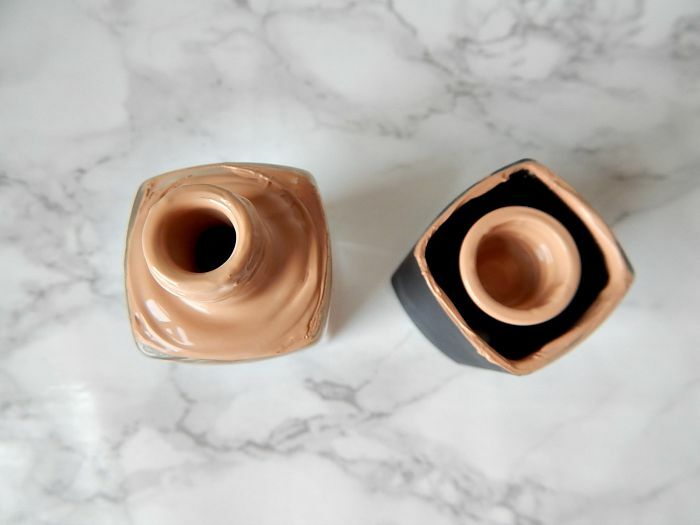 The coverage is divine – not as full as some of my previous foundations, but totally buildable. My skin looks flawless but natural, and it never oxidises on me or looks at all cakey. And the lasting power is bloody brilliant. I want to hate it so much because NARS are clearly money-grabbing little divs, but alas, I just can’t. I know for a fact I’ll be re-purchasing my bottle of NARS Sheer Glow Santa Fe, and that this time I’ll even pay the extra couple of quid for a pump. I’ll no doubt feel so much self-loathing as I place the order, but at least I will have beautiful skin when I shout at myself in the mirror. 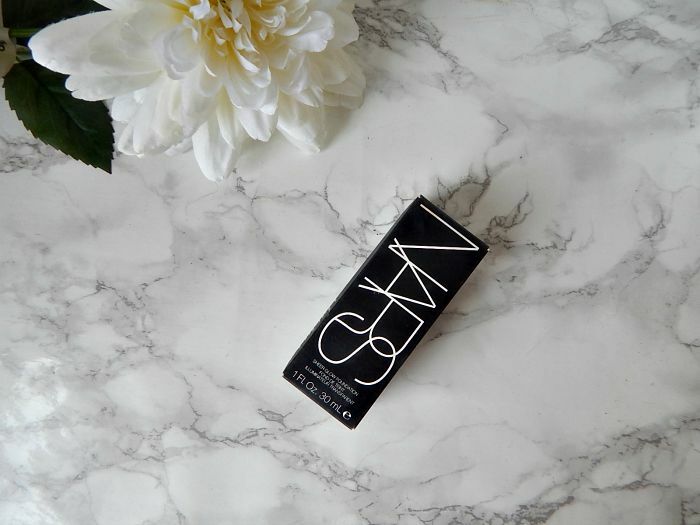 Have any of you tried NARS Sheer Glow? Did you experience the same rage? Let me know in the comments (so I don’t feel so lonely and psychotic). Next Article Proactiv 12 Week Trial – Before! Side note: that selfie is gorgeous! sounds like a great foundation, but no pump, wth?? I am yet to try this foundation but THANK YOU for this post. I loved it! Totally honest and I definitely won’t forget to ask about the pump! Love the way your write lovely! Extra for a pump, that’s so cheeky! I’ve been wanting to try Sheer Glow for ages now but alas there are no counters near me either and there’s no way I’m going to spend that much on a foundation without trying it first. Completely agree! I absolutely love this Foundation the color match was perfect the formula perfect not too heavy so it didn’t make me look cakey and provided me with the light coverage I was looking for. When I first received it in the mail I was shocked that there was no pump I thought surely it had been a mistake. I went back to Sephora and checked the samples on the floor and sure enough they all have pumps. I could not live with this. Alas I returned it. But I always keep it in my Sephora shopping bag in the app. I toggle with the idea of buying the pump but I don’t really want to spend another $6 I know that seems cheap but it’s the principle. I imagine at some point I’ll give in and buy them both but I’m just not there yet. I loved reading your rant it made me realize I am not being crazy.